Consume: 1. 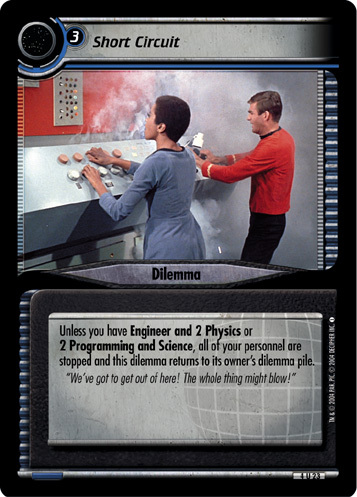 (Your opponent places the top card of his or her dilemma pile face up beneath this mission.) 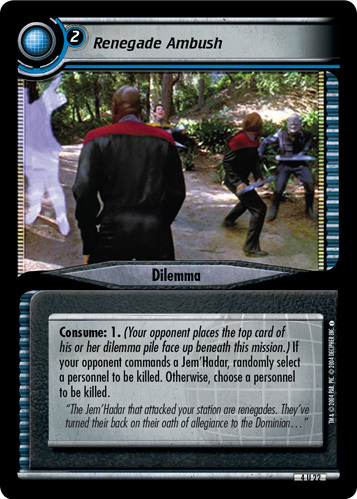 If your opponent commands a Jem'Hadar, randomly select a personnel to be killed. 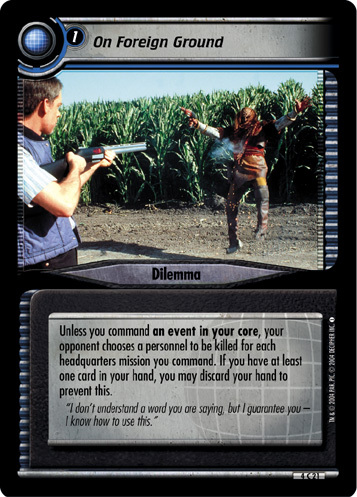 Otherwise, choose a personnel to be killed. "The Jem'Hadar that attacked your station are renegades. They've turned their back on their oath of allegiance to the Dominion..."